Many physiological conditions such as host defense or aging and pathological conditions such as neurodegenerative diseases, and diabetes are associated with the accumulation of high levels of reactive oxygen species and reactive nitrogen species. This generates a condition called oxidative stress. Low levels of reactive oxygen species, however, which are continuously produced during aerobic metabolism, function as important signaling molecules, setting the metabolic pace of cells and regulating processes ranging from gene expression to apoptosis. 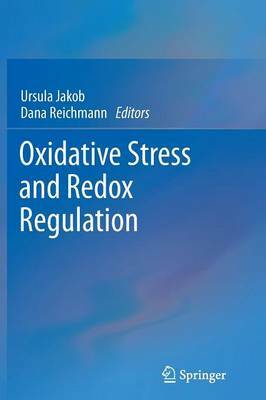 For this book we would like to recruit the experts in the field of redox chemistry, bioinformatics and proteomics, redox signaling and oxidative stress biology to discuss how organisms achieve the appropriate redox balance, the mechanisms that lead to oxidative stress conditions and the physiological consequences that contribute to aging and disease.